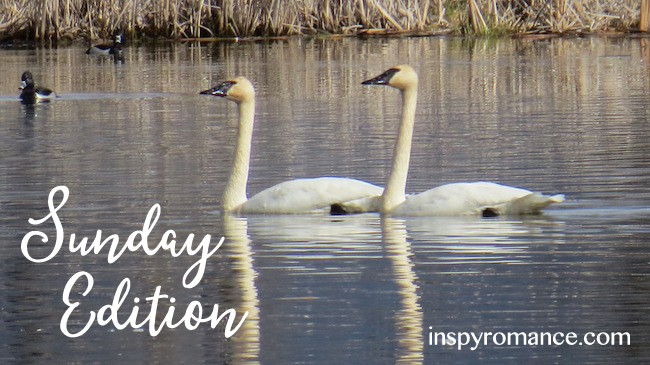 We live on the Pacific Flyway, and one of the highlights at this time of year is the sightings of swans. They stop over to feed and replenish their strength before continuing to fly north to their nesting grounds. The photos on this post are ones I took in March, 2016. 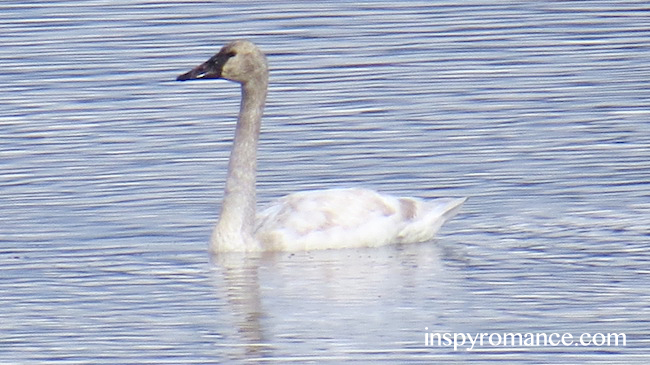 Although we’ve seen swans recently, I haven’t been able to get as good of photos as last year! Jill Weatherholt’s winner from her March 18 post is Luanne! Don’t forget… every comment you make qualifies you to win one of the monthly Amazon card giveaways! On Monday, Elizabeth Maddrey took us Behind the Scenes with Audiobooks. On Tuesday, Janet W Ferguson admitted to guest Kara Isaac: You Had Me at Narnia! …and giveaway! On Wednesday, Roxanne Rustand discussed Writing What You Know… or Not. On Friday, Merrillee Whren shared the Making of Book Covers (Part 2). On Saturday, Heather Gray took us Nowhere for Christmas …and giveaway! 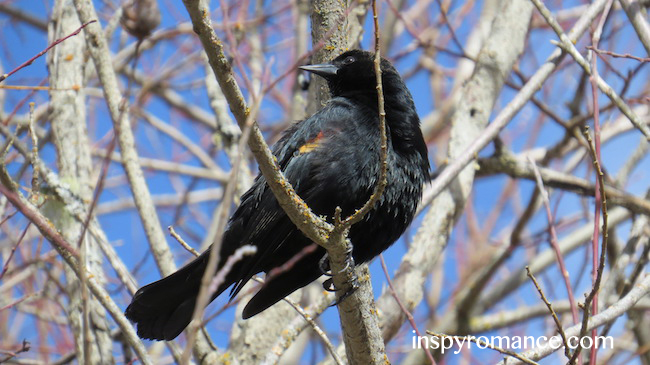 The lovely, lilting trill of red-winged blackbirds is so welcome at this time of year as well! A complete list of Inspy Romance books by our authors is always available on our BOOKS tab. Check out our perma-free novels, audiobooks, and more on the NEWS tab. Hi Valerie:) Lovely photos, Spring is such a beautiful time of year- everything coming ‘back to life’, that reawakening of green. We are still having warm days, but the mornings/evenings are definately autumn weather. Autumn is a lovely time of year, too. Everything giving one last burst before winter, and the cooling weather is often quite welcome after a hot summer! Thanks for sharing the inspiring swan pictures. Swans are just beautiful creatures. Many of our inland lakes have swans. We are experiencing spring weather with warmer temperatures and spring showers. Congrats on your release Promise of Peppermints. “The swans are here!” is an announcement that thrills every year! Years like this one, with so much flooding (due to All.That.Snow. in February and March!) they’re harder to find because, frankly, they can land just about anywhere! We’ve seen them, but at more of a distance. Thanks for the congrats! I’m delighted to have Rebekah and Wade’s story out. The swans are beautiful! The red wing black birds have just returned to the lake near our house where we walk. We enjoy watching them puff themselves up as they call. They do seem magical in literature! In mid-December when we were at my niece’s for an early Christmas with her family, we got to see the swans near Sacramento, California! I’ve got one of the pictures I took as my computer wallpaper. I enjoyed Promise of Peppermints and need to get a review written! So that’s where they winter over! Good to know. They’re quite elegant in nature, too! Last year red winged blackbirds started showing up regularly at the feeder in my backyard and just in the last week or so they have returned. New visitors to my yard and feeder over the last couple of months have been flickers. I now regularly have four different kinds of woodpeckers that show up. Yes, flickers are back here, too!